Arthur Koestler (September 5, 1905, Budapest – March 3, 1983, London) was a Hungarian polymath who became a naturalized British subject. He wrote journalism, novels, social philosophy, and books on scientific subjects. He was a communist during much of the 1930s, but later became an outspoken anti-communist. He remained politically active until the 1950s. He wrote several popular books, including Arrow in the Blue (the first volume of his autobiography), The Yogi and the Commissar (a collection of essays, many dealing with Communism), The Sleepwalkers (A History of Man's Changing Vision of the Universe), The Act of Creation, and The Thirteenth Tribe (a new theory on the origins of Eastern European Jews). Koestler's most famous work, the novel Darkness at Noon about the Soviet Great Purges, ranks with George Orwell's Nineteen Eighty-Four as a fictional treatment of Stalinism. He was born Kösztler Artúr (Hungarian names have the surname first) in Budapest, Austria-Hungary, to a German-speaking Hungarian family of Ashkenazi Jewish descent. His father, Henrik, was a prosperous start-up industrialist and inventor. His great business success was a "health" soap, which replaced conventional soaps based on animal fats (which were scarce during the World War I). Henrik's mineral soaps were thought to have health qualities thanks to their weak radioactivity, which at the time was considered curative. When Artur was 14, his family moved to Vienna. Koestler studied science and psychology at the University of Vienna, where he became President of a Zionist student fraternity. A month before he was due to finish his studies, he burnt his matriculation book and did not take his final examinations but made "aliyah" to Israel (then a British Mandate). From 1926 to 1929 he lived in the British Mandate of Palestine, first in a kibbutz in the Jezreel Valley ("Heftzibah"), and later in Tel Aviv and Jerusalem, where he almost starved. He left Palestine for Paris as a correspondent to the Ullstein group of German newspapers. A year later he became science editor for Ullstein, based in Berlin; a highlight of that post was membership in a 1931 Zeppelin expedition to the North Pole. He joined the Communist Party of Germany in 1931, but left it after the Stalinist show-trials of 1938. During this period he traveled extensively in the Soviet Union and climbed Mount Ararat in Turkey. In Turkmenistan, he met the African American writer Langston Hughes. In his memoir The Invisible Writing, Koestler recalls that during the summer of 1935 he "wrote about half of a satirical novel called The Good Soldier Schweik Goes to War Again…., based on the popular First World War novel by Jaroslav Hasek. It had been commissioned by Willy Münzenberg [the Comintern's chief propagandist in the West] … but was vetoed by the Party on the grounds of the book's 'pacifist errors' …" (283). Soon after the outbreak of World War II, the French authorities detained him for several months in a camp for resident aliens at Le Vernet, in the foothills of the Pyrenees mountains. Upon his release, he joined the French Foreign Legion. He eventually escaped to England via Morocco and Portugal. In England, he served in the British Army as a member of the British Pioneer Corps in 1941-1942, then worked for the BBC. He became a British subject in 1945, and returned to France after the war, where he rubbed shoulders with the set gravitating around Jean-Paul Sartre and Simone de Beauvoir (one of the characters in de Beauvoir's novel The Mandarins is believed to be based on Koestler). Koestler returned to London and spent the rest of his life writing and lecturing. In June 1950, Koestler attended and delivered the keynote address at a conference of anti-Communist intellectuals in Berlin that led to the founding of the Congress for Cultural Freedom. He was made a Commander in the Order of the British Empire in the 1970s. In 1983, suffering from Parkinson's disease and leukemia, Koestler committed joint suicide with his third wife Cynthia by taking an overdose of drugs. He had long been an advocate of voluntary euthanasia, and in 1981 had become vice-president of EXIT (now the United Kingdom's Voluntary Euthanasia Society). His will endowed the chair of parapsychology at the University of Edinburgh in Scotland. Koestler was married to Dorothy Asher (1935-1950), Mamaine Paget (1950-1952), and Cynthia Jefferies (1965-1983). He also had a very short fling with the French writer Simone de Beauvoir. Cesarani claimed that Koestler beat and raped several women, including film director Jill Craigie. The resulting protests led to the removal of a bust of Koestler from public display at the University of Edinburgh. Questions have also been raised by his suicide pact with his last spouse. Although he was terminally ill at the time, she was apparently healthy, leading some to claim he persuaded her to take her own life. During the Second World War, Koestler continually spoke out against the atrocities of the Nazi regime. His Central European Jewish family background made him personally involved in a way that many British and United States politicians were not. He had witnessed the growth of extremist tendencies in the region first-hand. We, the screamers, have been at it now for about ten years. We started on the night when the epileptic van der Lubbe set fire to the German Parliament; we said that if you don't quench those flames at once, they will spread all over the world; you thought we were maniacs. At present we have the mania of trying to tell you about the killing-by hot steam, mass-electrocution, and live burial-of the total Jewish population of Europe. So far three million have died. It is the greatest mass killing in recorded history; and it goes on daily, hourly, as regularly as the ticking of your watch. I have photographs before me on the desk while I am writing this, and that accounts for my emotion and bitterness. Despite these frustrations, Koestler and the "screamers" continued their campaign until the late stages of the war. In addition to his mother tongue German, and the Hungarian of his homeland, Koestler became fluent in English, and French, and knew some Hebrew and Russian. His biographer, David Cesarani, claims there is some evidence that Koestler may have picked up some Yiddish from his grandfather. Koestler's multilingualism was principally due to having resided, worked, or studied in Hungary, Austria, Germany, Palestine (pre-1948 Israel), the Soviet Union, the United Kingdom, and France, all by 40 years of age. Though he wrote the bulk of his later work in English, Koestler wrote his best-known novels in three different languages: The Gladiators in Hungarian, Darkness at Noon in German (although the original is now lost), and Arrival and Departure in English. His journalism was written in German, Hebrew, French and English, and he even produced the first Hebrew language crossword puzzles and wrote the sketches for the first Hebrew cabaret ("HaMatateh"). Just as Darkness at Noon was selling well during the Cold War of the 1940s and 1950s, Koestler announced his retirement from politics. Much of what he wrote thereafter revealed a multidisciplinary thinker whose work anticipated a number of trends by many years. He was among the first to experiment with LSD (in a laboratory). He also wrote about Japanese and Indian mysticism in The Lotus and the Robot (1960). This originality resulted in an uneven set of ideas and conclusions. Topics covererd by his works include creativity (Insight and Outlook, Act of Creation) and the history of science (The Sleepwalkers). Some of his other pursuits, such as his interest in the paranormal, his support for euthanasia, his theory of the origin of Ashkenazi Jews like himself, and his disagreement with Darwinism, are more controversial. Koestler was involved in a number of political causes during his life, from Zionism and communism to anti-communism, voluntary euthanasia, and campaigns against capital punishment, particularly hanging. He was also an early advocate of nuclear disarmament. Until the bestseller status of Darkness at Noon made him financially comfortable, Koestler often earned his living as a journalist and foreign correspondent, trading on his ability to write quickly in several languages, and to acquire with facility a working knowledge of a new language. He wrote for a variety of newspapers, including Vossische Zeitung (science editor) and B.Z. am Mittag (foreign editor) in the 1920s. In the early 1930s, he worked for the Ullstein publishing group in Berlin and did freelance writing for the French press. While covering the Spanish Civil War, in 1937, he was captured and held for several months by the Falangists in Málaga, until the British Foreign Office negotiated his release. His Spanish Testament records these experiences, which he soon transformed into his classic prison novel Darkness at Noon. After his release from Spanish detention, Koestler worked for the News Chronicle, then edited Die Zukunft with Willi Münzenberg, an anti-Nazi, anti-Stalinist German language paper based in Paris, founded in 1938. During and after World War II, he wrote for a number of English and American papers, including The Sunday Telegraph, on various subjects. During the last 30 years of his life, Koestler wrote extensively on science and scientific practice. The post-modernist scepticism coloring much of this writing tended to alienate most of the scientific community. A case in point is his 1971 book The Case of the Midwife Toad about the biologist Paul Kammerer, who claimed to find experimental support for Lamarckian inheritance. Koestler's trilogy culminating with The Ghost in the Machine and later Janus: A Summing Up bridges concepts of reductionism and holism with his systemic theory of Open Hierarchical Systems. Holons in a Holarchy have the dual tendency of integration and development and out of balance they tend to a pathology. He included his concept of Bisociation that became a profound basis for other's work on creativity and James Papez/Paul McLean's Schizophysiology to explain the often irrational behavior of humans as part of Open Hierarchical Systems. Mysticism and a fascination with the paranormal imbued much of his later work, and greatly influenced his personal life. 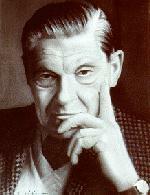 For some years following his death a Koestler Society in London promoted investigation of these and related subjects. He left a substantial part of his estate to establish the Koestler Parapsychology Unit at the University of Edinburgh dedicated to the study of paranormal phenomena. His The Roots of Coincidence makes an overview of the scientific research around telepathy and psychokinesis and compares it with the advances in quantum physics at that time. It mentions yet another line of unconventional research by Paul Kammerer, the theory of coincidence or synchronicity. He also presents critically the related writings of Carl Jung. More controversial were Koestler's studies of levitation and telepathy. Although a lifelong atheist, Koestler's ancestry was Jewish. His biographer, David Cesarani, claimed that Koestler deliberately disowned his Jewish ancestry. When Koestler resided in Palestine during the 1920s, he lived on a kibbutz. This experience provided background for his novel Thieves in the Night. Koestler's book The Thirteenth Tribe advanced the controversial thesis that Ashkenazi Jews are not descended from the Israelites of antiquity, but from the Khazars, a Turkic people in the Caucasus who converted to Judaism in the eighth century and were later forced to move westwards into current Russia, Ukraine and Poland. Koestler stated that part of his intent in writing The Thirteenth Tribe was to defuse anti-Semitism by undermining the identification of European Jews with Biblical Jews, with the hope of rendering anti-Semitic epithets such as "Christ killer" inapplicable. Ironically, Koestler's thesis that Ashkenazi Jews are not Semitic has become an important claim of many anti-Semitic groups. Some Palestinians have eagerly seized upon this thesis, believing that to identify most Jews as non-Semites seriously undermines their historical claim to the land of Israel. The main thesis of The Thirteenth Tribe has since been tentatively disproven by genetic testing. A 2000 study of haplotypes by Hammer et al found that the Y chromosome of most Ashkenazi and Sephardic Jews was of Middle Eastern origin, containing mutations that are also common among Palestinians and other Middle Eastern peoples, but uncommon in the general European population. This suggested that the male ancestors of the Ashkenazi Jews could be traced primarily to the Middle East. A 2006 study by Behar et al, based on haplotype analysis of mitochondrial DNA (mtDNA), suggested that about 40 percent of the current Ashkenazi population is descended matrilineally from just four women. These four "founder lineages" were "likely from a Hebrew/Levantine mtDNA pool" originating in the Near East in the first and second centuries CE. In November, 1960, Koestler participated in Timothy Leary's early experiments with psilocybin at Harvard University. Koestler again experimented with psilocybin at the University of Michigan at Ann Arbor, comparing this trip to Walt Disney's Fantasia. I profoundly admire Aldous Huxley, both for his philosophy and uncompromising sincerity. But I disagree with his advocacy of "the chemical opening of doors into the Other World," and with his belief that drugs can procure "what Catholic theologians call a gratuitous grace." Chemically induced hallucinations, delusions and raptures may be frightening or wonderfully gratifying; in either case they are in the nature of confidence tricks played on one's own nervous system. The books The Lotus and the Robot. The God that Failed, and Von Weissen Nächten und Roten Tagen, as well as his numerous essays, all contain autobiographical information. 1933. Von Weissen Nächten und Roten Tagen. Very difficult to find. 1935. The Good Soldier Schweik Goes to War Again.... Unfinished and unpublished. 1939. The Gladiators, 1967 reprint, ISBN 0025653202. A novel on the revolt of Spartacus. 1942. Dialogue with Death. Abridgement of Spanish Testament. 1960. Lotus and the Robot. ISBN 0090598911. Koestler's journey to India and Japan, and his assessment of East and West. 1967. The Ghost in the Machine. Penguin reprint 1990 ISBN 0140191925. 1970. The Age of Longing. ISBN 0091045207. 1971. The Case of the Midwife Toad. ISBN 0394718232. An account of Paul Kammerer's research on Lamarckian evolution and what he called "serial coincidences." 1972. The Roots of Coincidence. ISBN 0394719344. Sequel to The Case of the Midwife Toad. 1972. The Call Girls: A Tragicomedy with a Prologue and Epilogue (novel). 1974. The Heel of Achilles: Essays 1968-1973. ISBN 0394495969. 1976. The Thirteenth Tribe: The Khazar Empire and Its Heritage. ISBN 0394402847. 1976. Astride the Two Cultures: Arthur Koestler at 70. ISBN 0394400631. 1977. Twentieth Century Views: A Collection of Critical Essays. ISBN 0130492132. "Attila, the Poet" (1954) Encounter 2 (5)(1954). ↑ "On Disbelieving Atrocities", New York Times Magazine, January 1944 and reprinted in The Yogi and the Commissar, Macmillan (1945), 88-92. Atkins, John Alfred. 1956. Arthur Koestler. Folcroft Library Editions, 1978. Buckard, Christian G., 2004. Arthur Koestler: Ein extremes Leben 1905-1983. (German language) ISBN 3406521770. Cesarani, David, 1998. Arthur Koestler: The Homeless Mind. Free Press, ISBN 0684867206. Hamilton, Iain, 1982. Koestler: A Biography. Secker & Warburg, ISBN 0025476602. Levene, M., 1984. Arthur Koestler. Ungar Publishing Co., ISBN 080446412X. Mikes, George, 1983. Arthur Koestler: The Story of a Friendship. David and Charles, ISBN 0233976124. Pearson, S. A., 1978. Arthur Koestler. Twayne Publishers, ISBN 0805766995. This page was last modified on 23 November 2016, at 20:13.